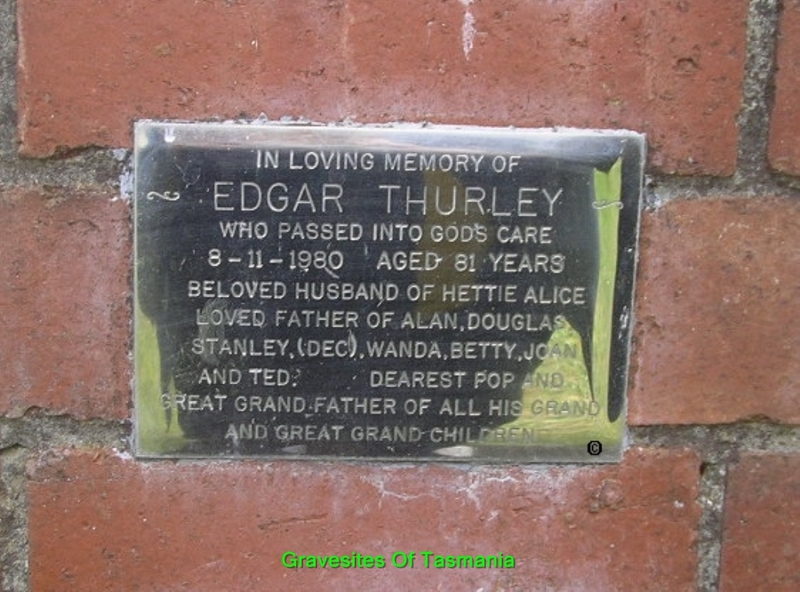 [GS] Gravestone of Edgar Thurley. 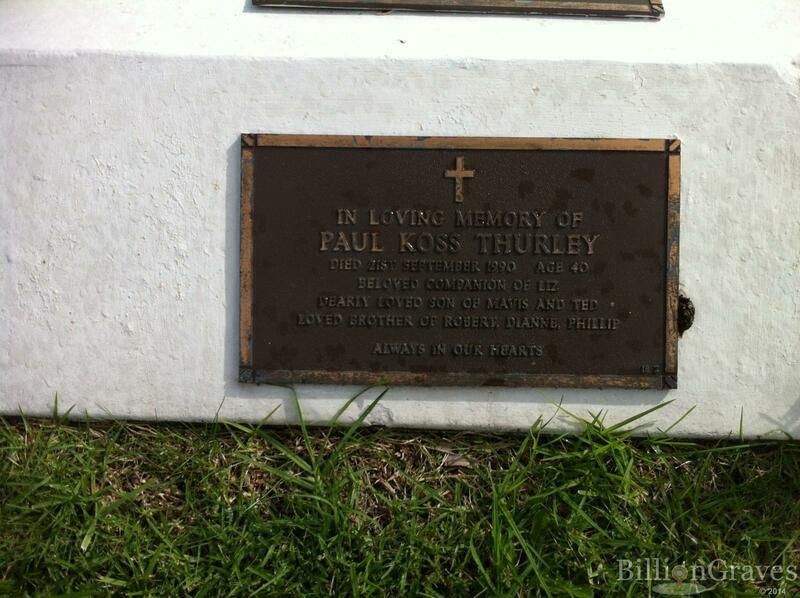 [GS] Gravestone of Paul Koss Thurley at Frankston Cemetery. 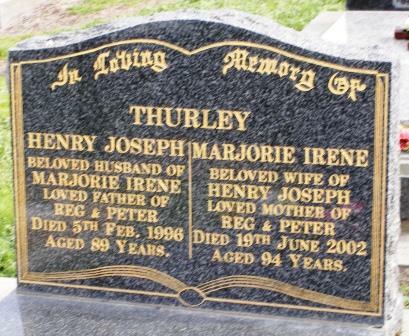 [GS] War Gravestone of Kenneth Howard Joseph Thurley. 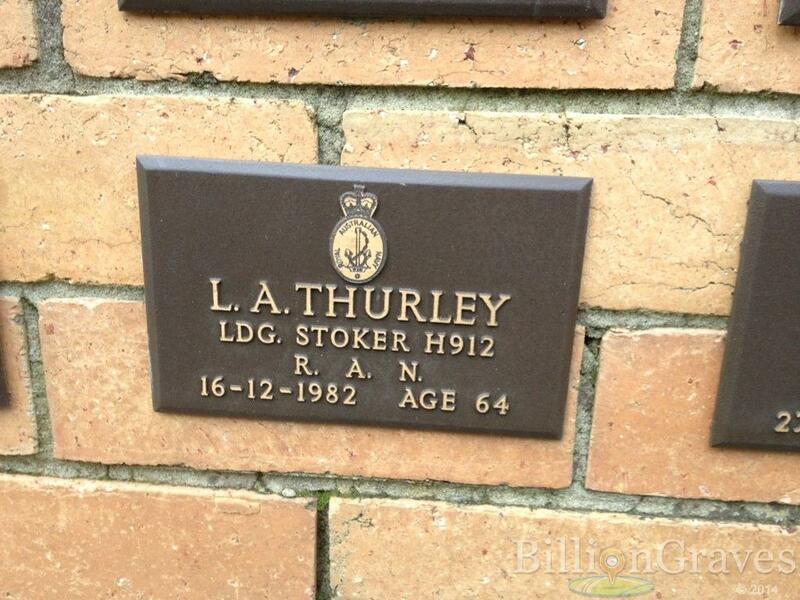 Killed in action 18 October 1944. 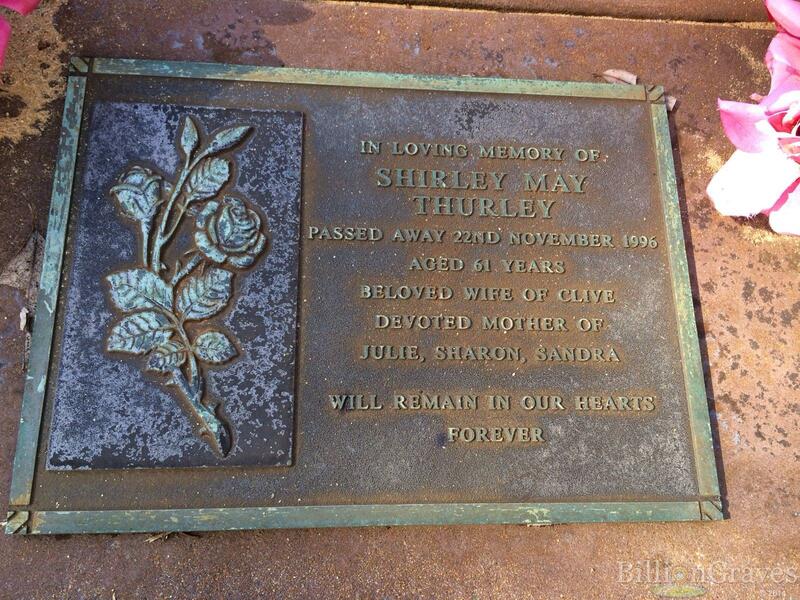 [GS] Gravestone of Shirley May Thurley (nee Sweetman) Lakes Memorial Lawn Cemetery, Western Australia. 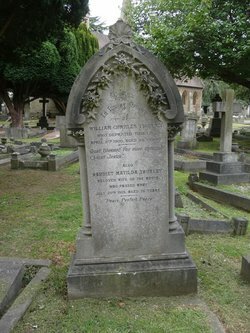 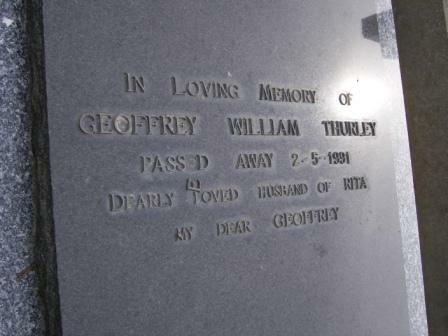 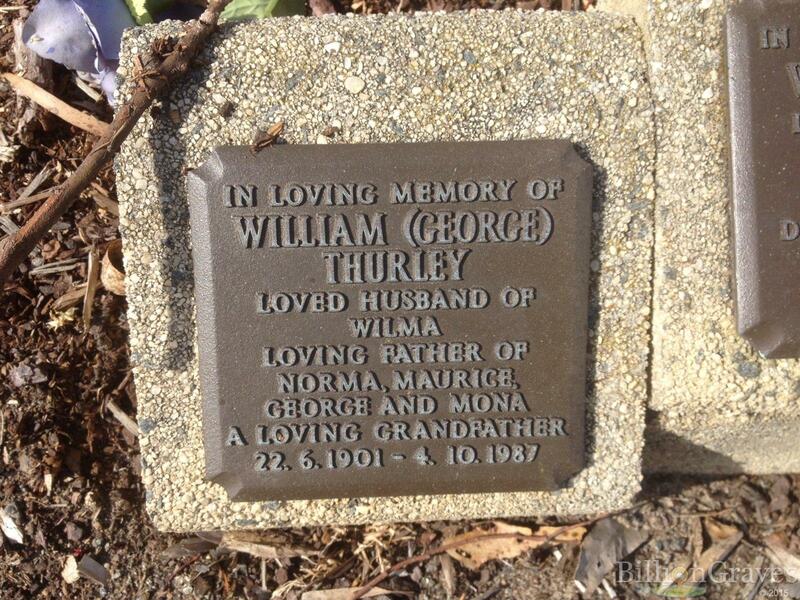 [GS] Gravestone of William George Thurley. 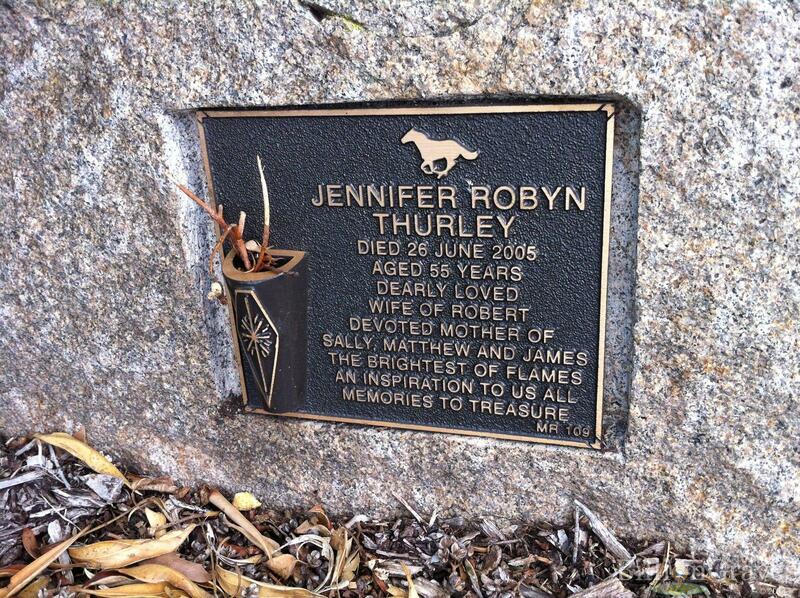 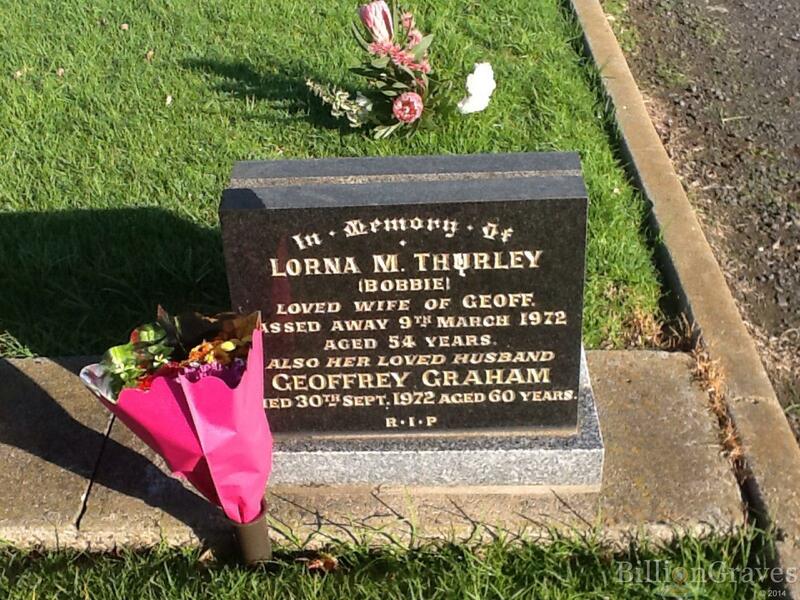 [GS] Gravestone of Jennifer Robyn Thurley (nee Horkings) at Frankston Cemetery. 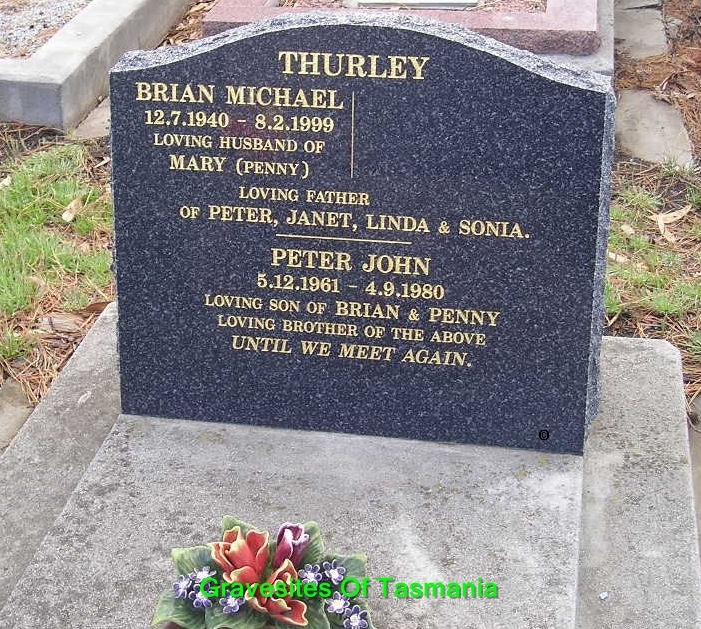 [GS] Gravestone of Brian Michael Thurley and his son Peter John Thurley. 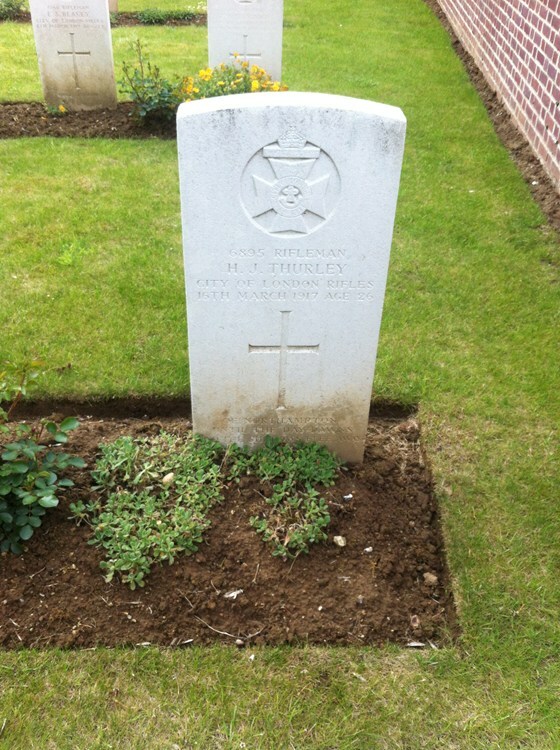 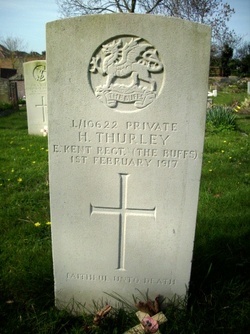 [GS] The gravestone of Rifleman Harold Thurley, at De Cusine Ravine British Cemetery, near Arras. 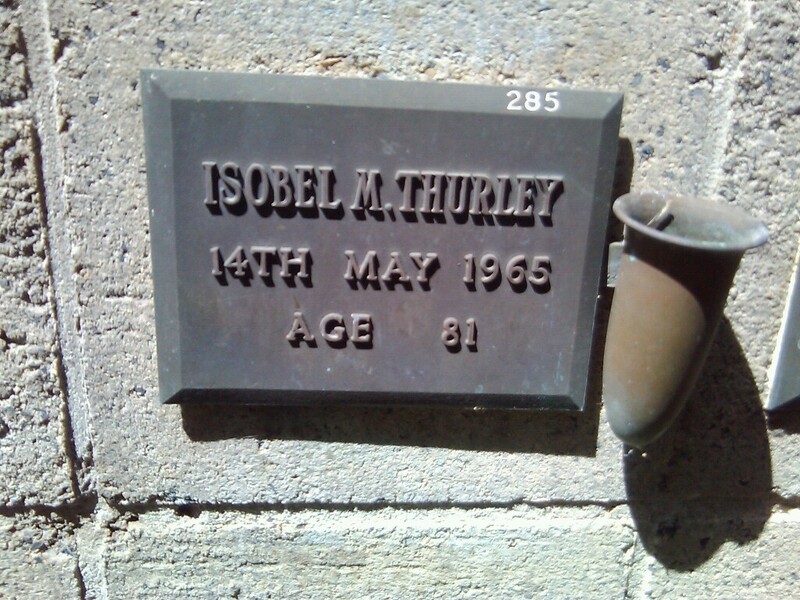 [GS] Gravestone of Isabell Maude Thurley (nee Ogg) at Springvale Botanical Cemetery. 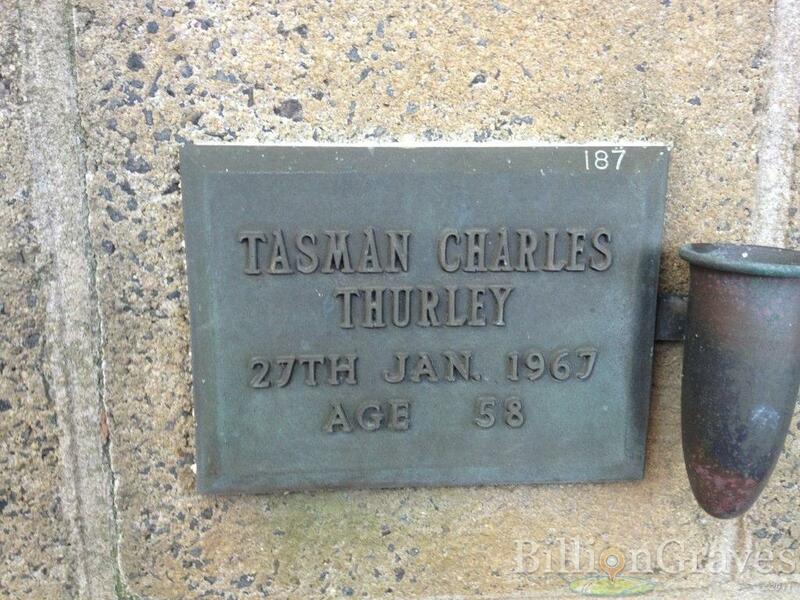 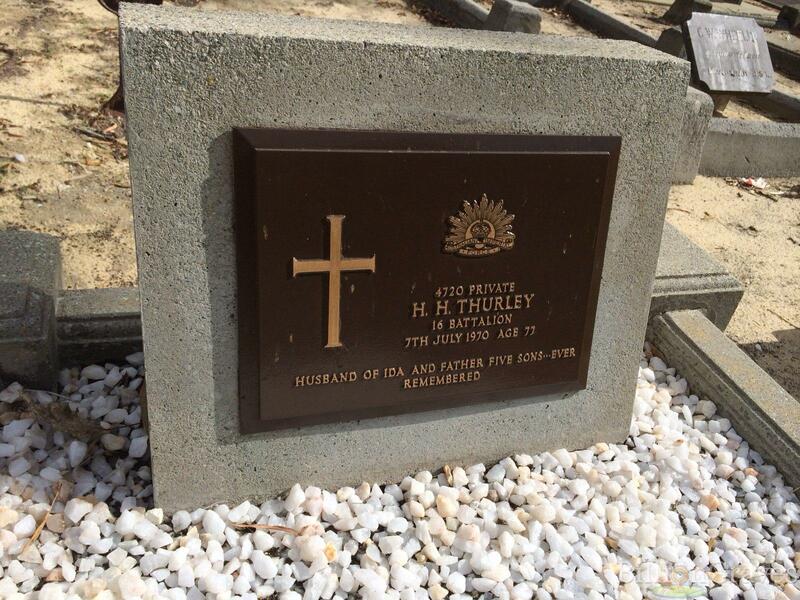 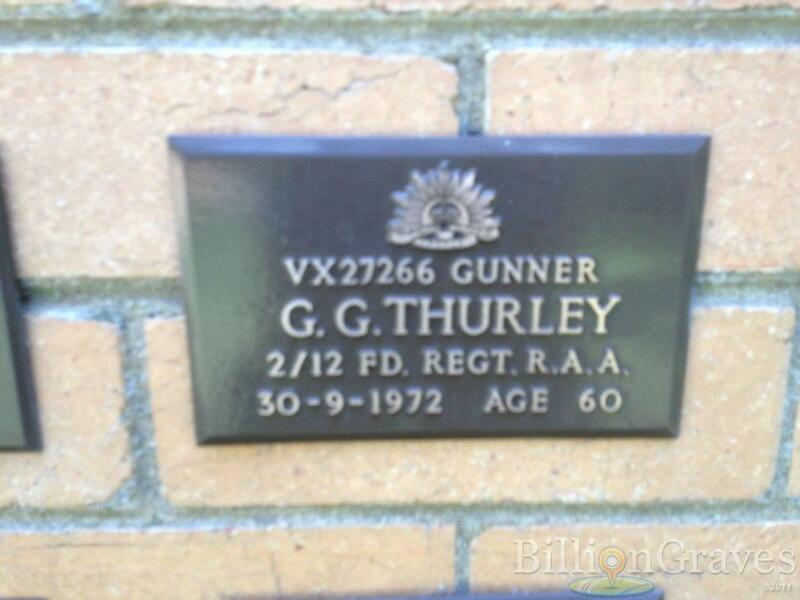 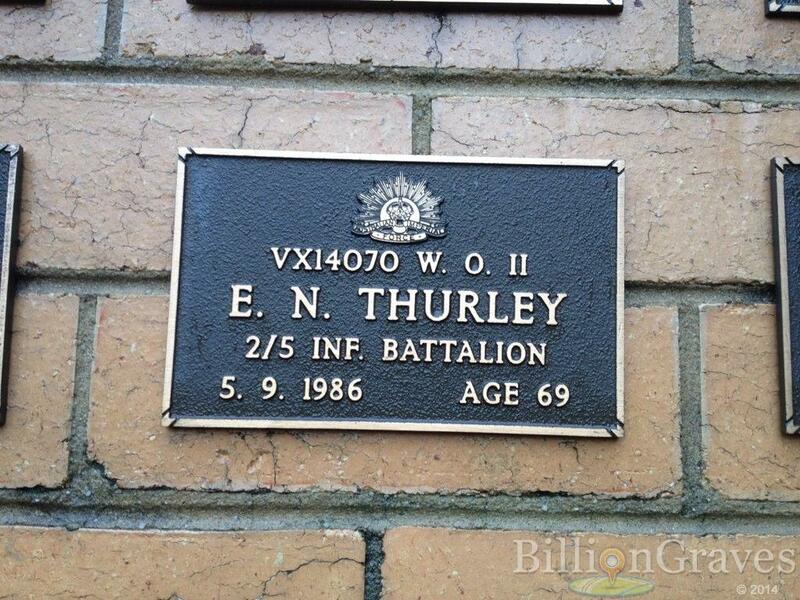 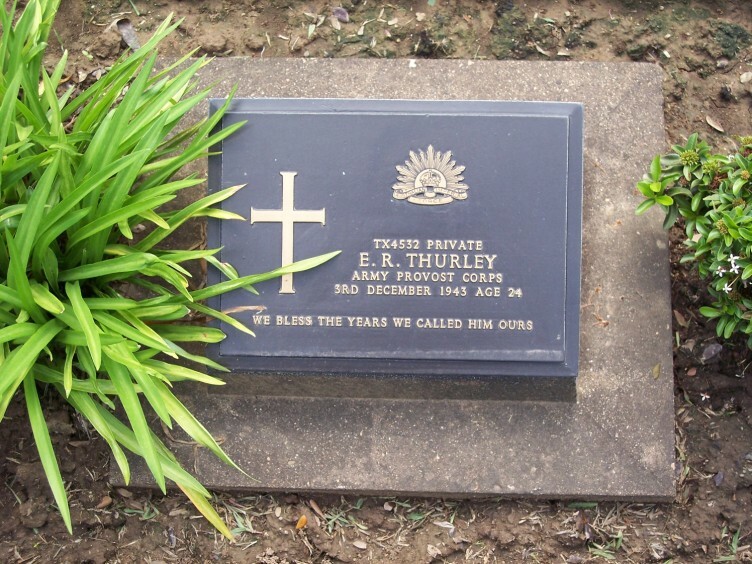 [GS] Military plaque for Geffrey Graham Thurley at Springvale Botanical Cemetery. 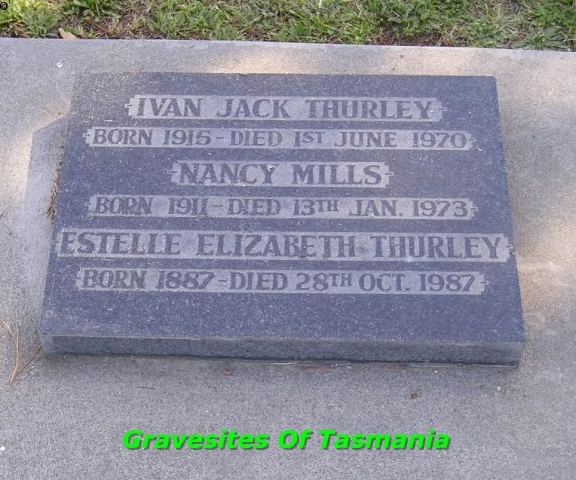 [GS] Gravestone of Ivan Jack Thurley. 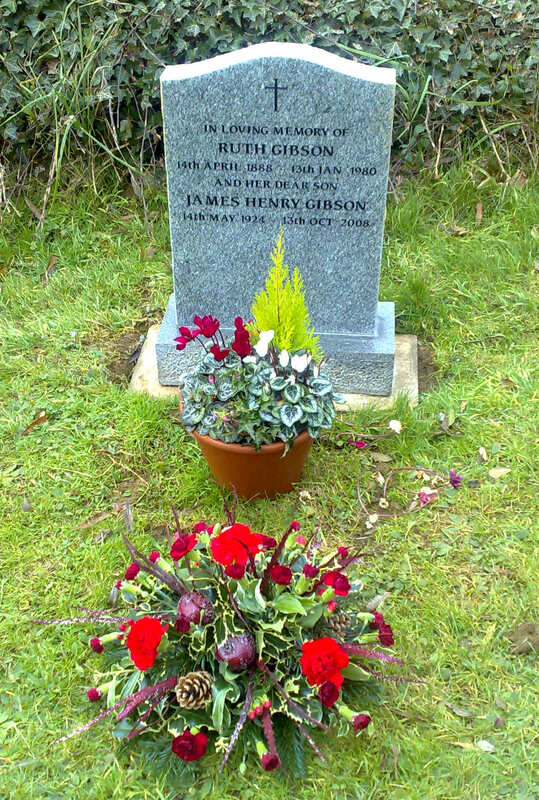 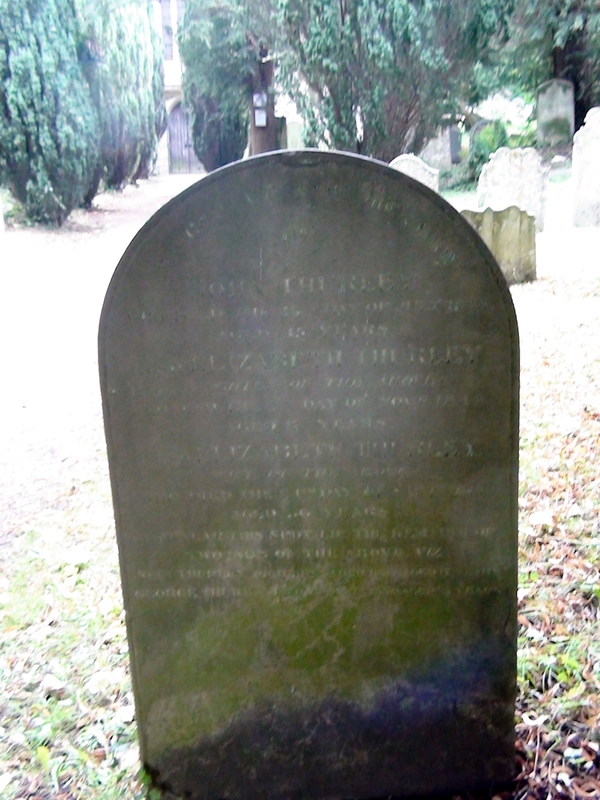 Also included on this graveston are his mother Stella Absolom and his sister Nancy. 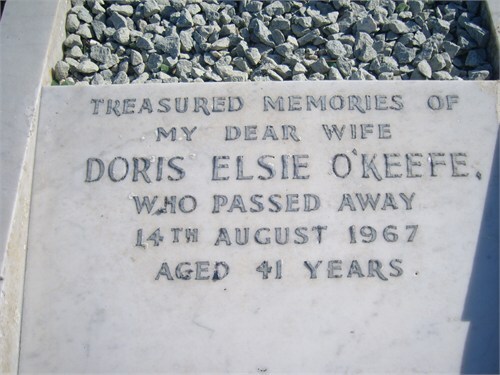 [GS] Gravestone of Doris Elsie O'Keefe (nee Thurley). 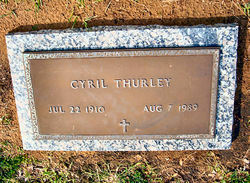 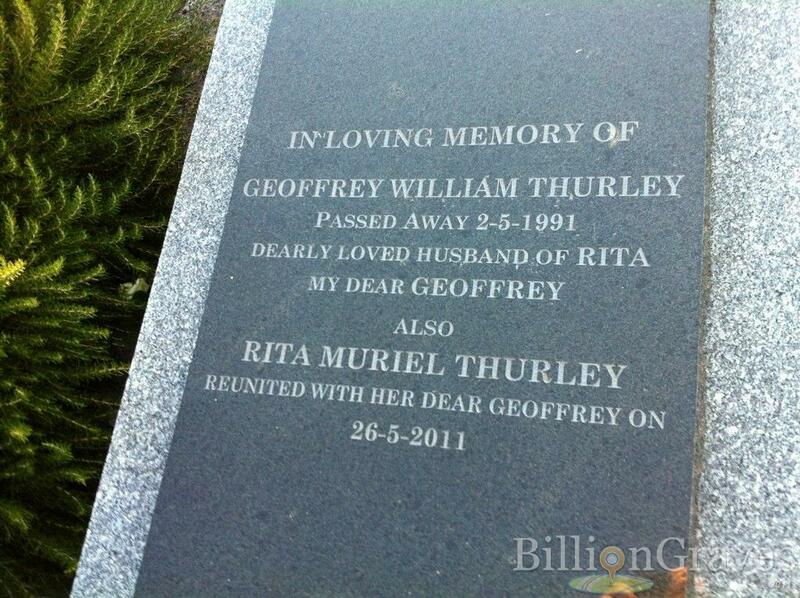 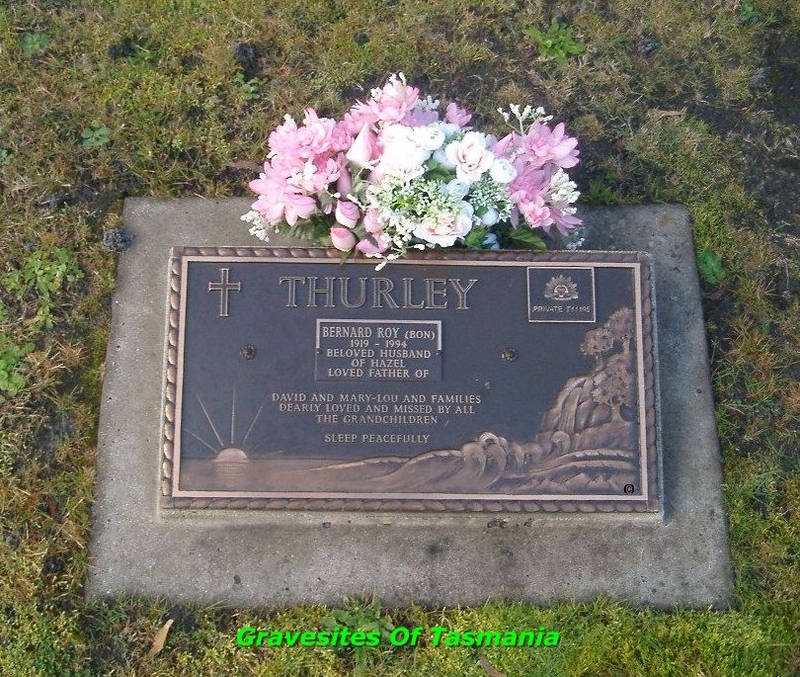 [GS] Gravestone of Bernard Roy Thurley. 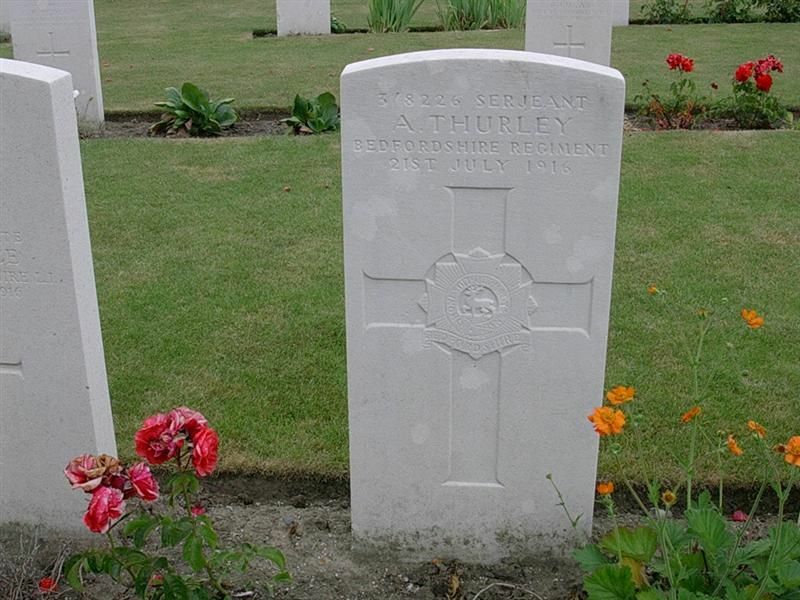 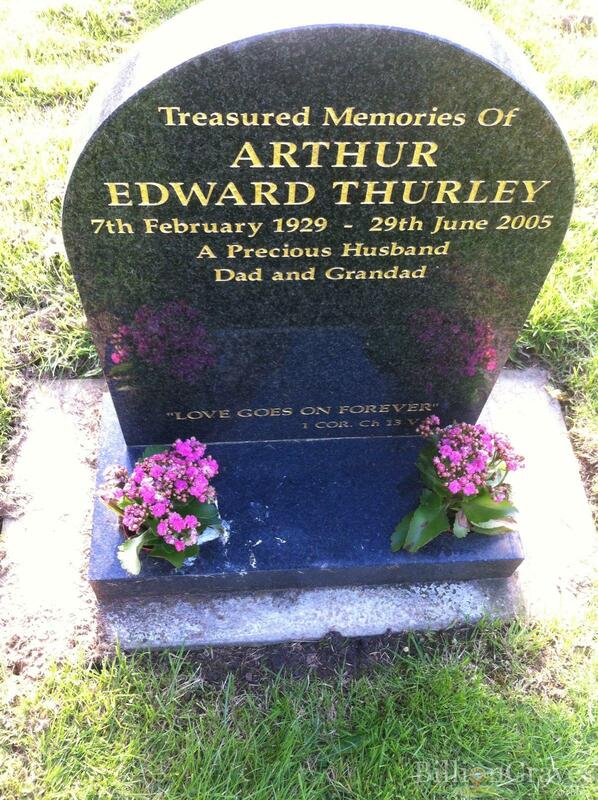 [GS] War grave of Aaron Arthur Thurley. 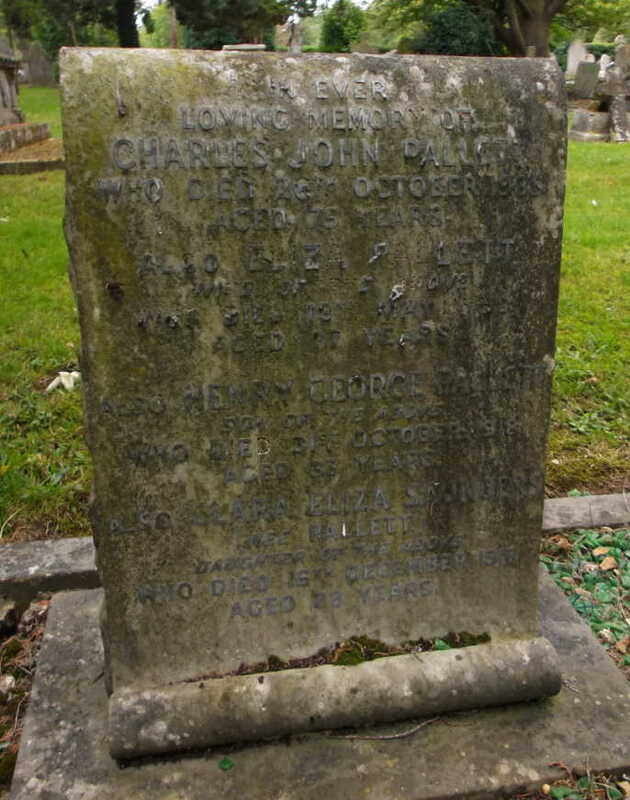 Killed in action in WW1 in July 1916. 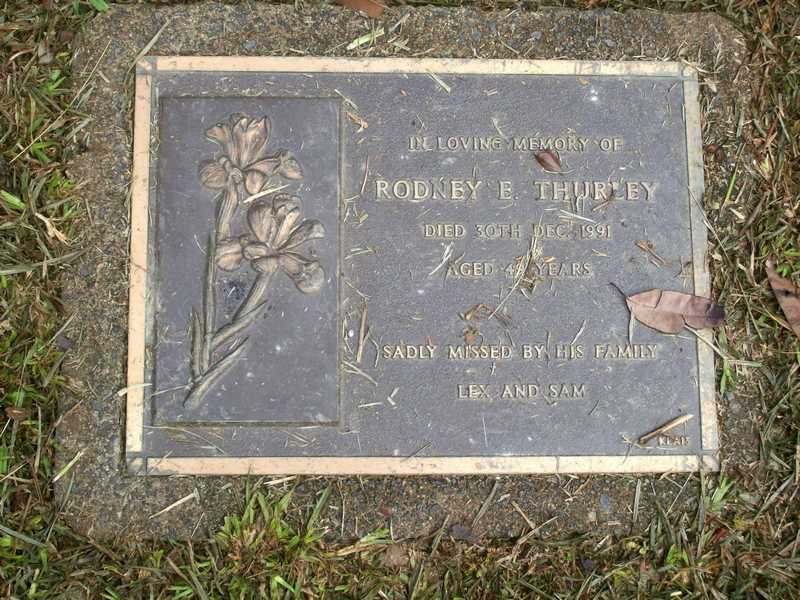 [GS] Gravestone of Rodney Edgar Thurley. 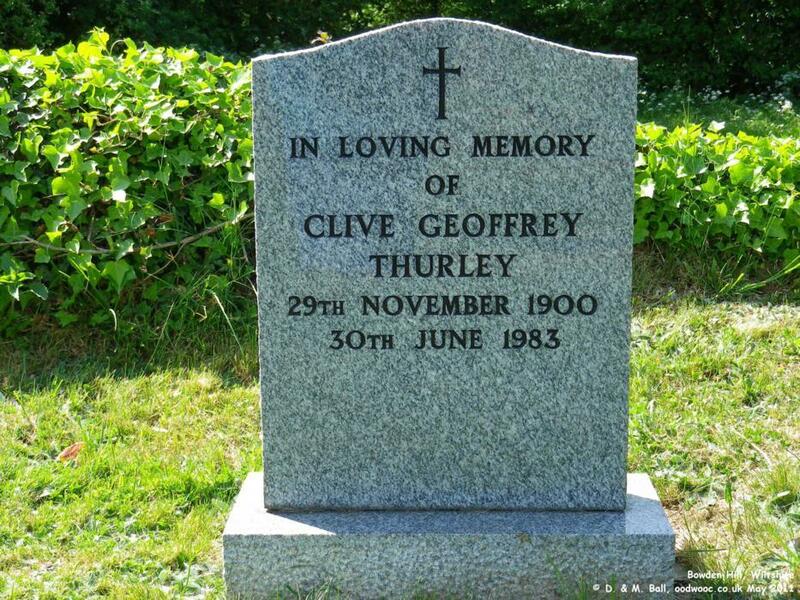 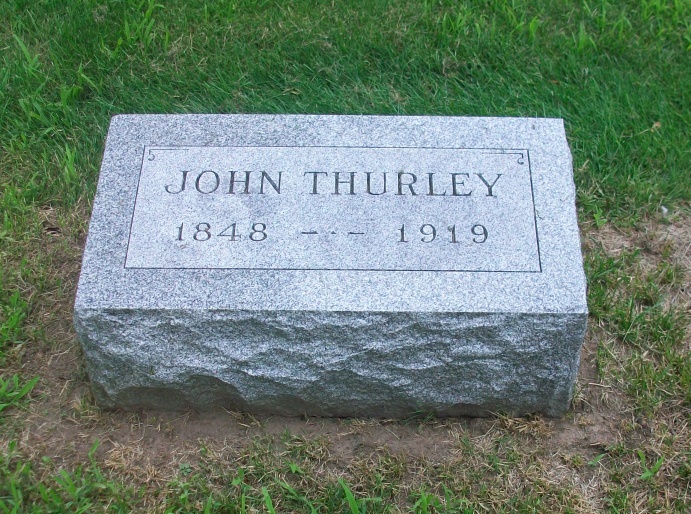 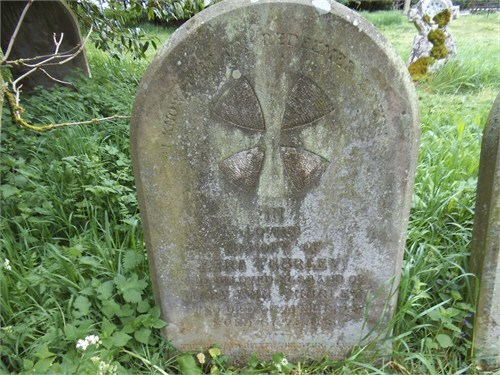 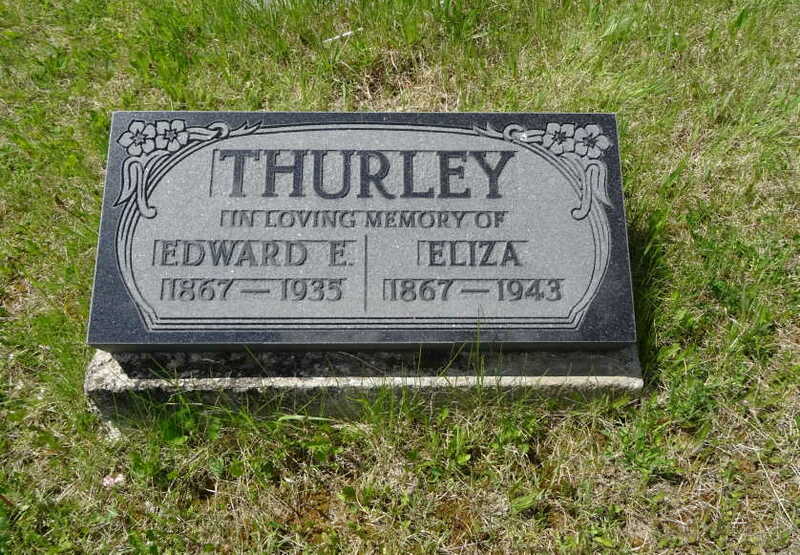 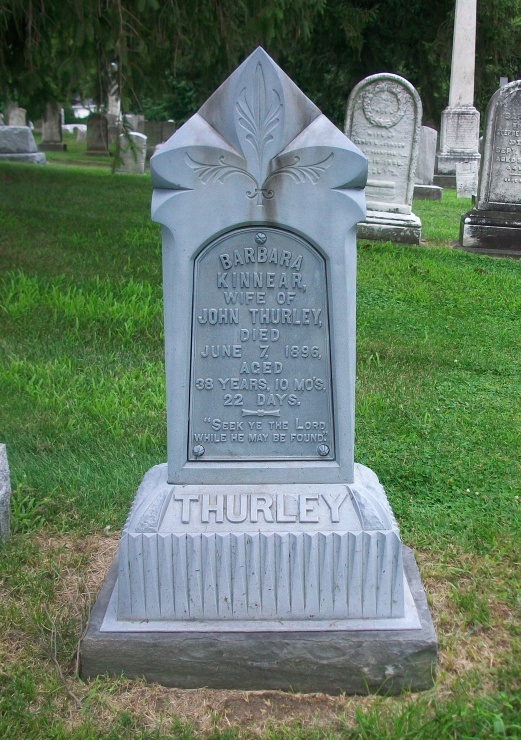 [GS] Gravestone of Henry Edward Thurley. 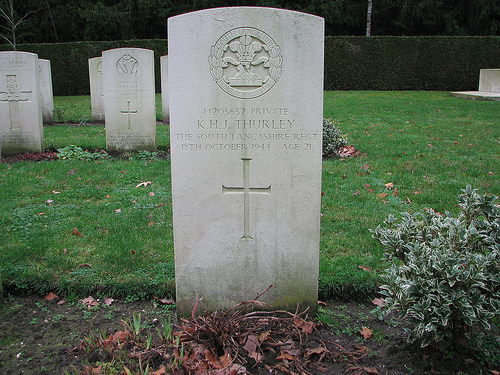 KIA in WW2. 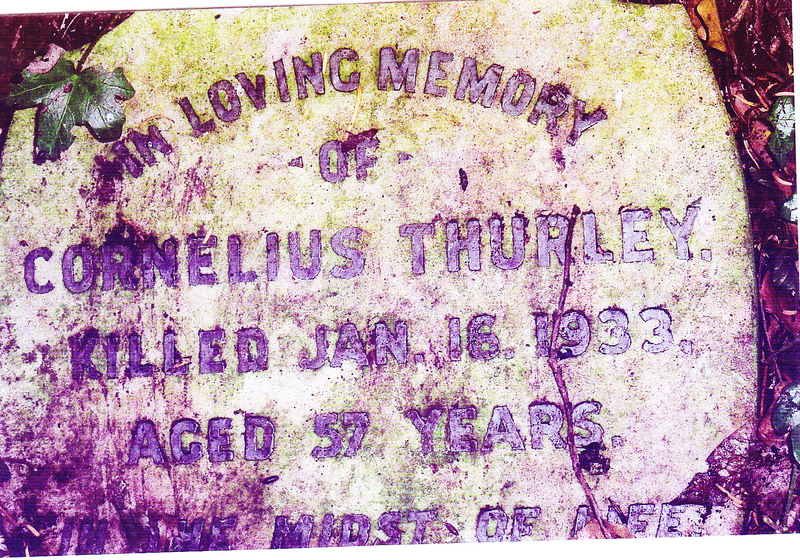 [GS] Gravestone of Viola Blanche Thurley. 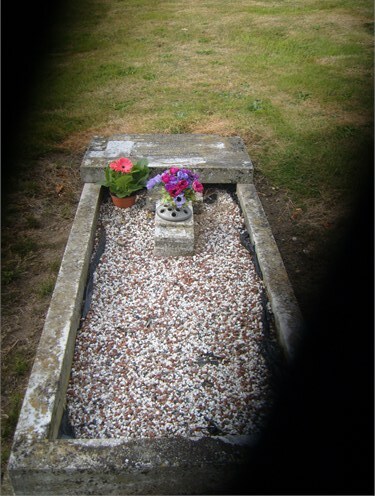 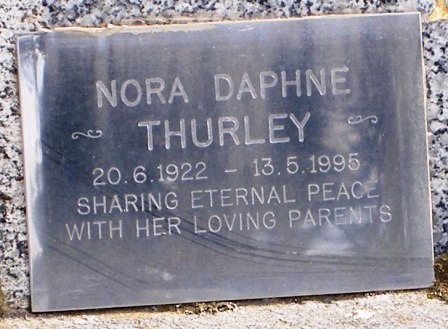 [GS] Graveston of Norah Daphne Thurley. 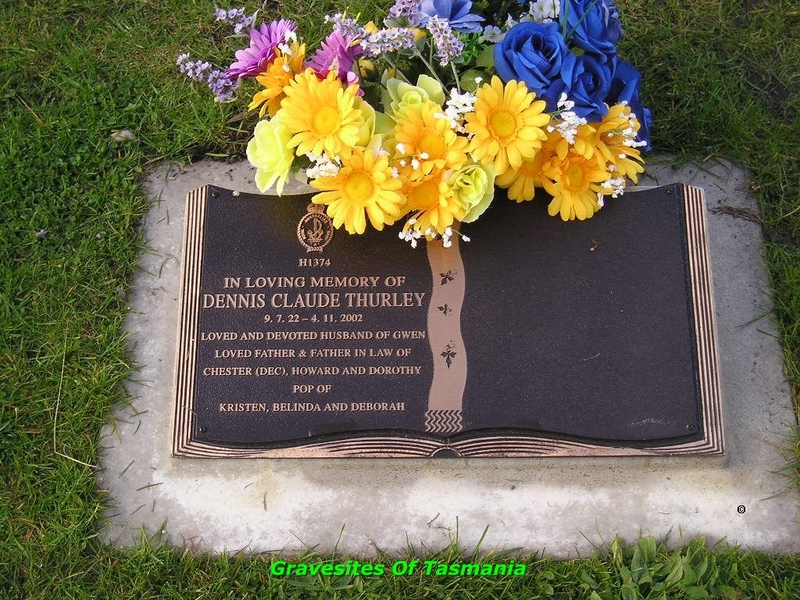 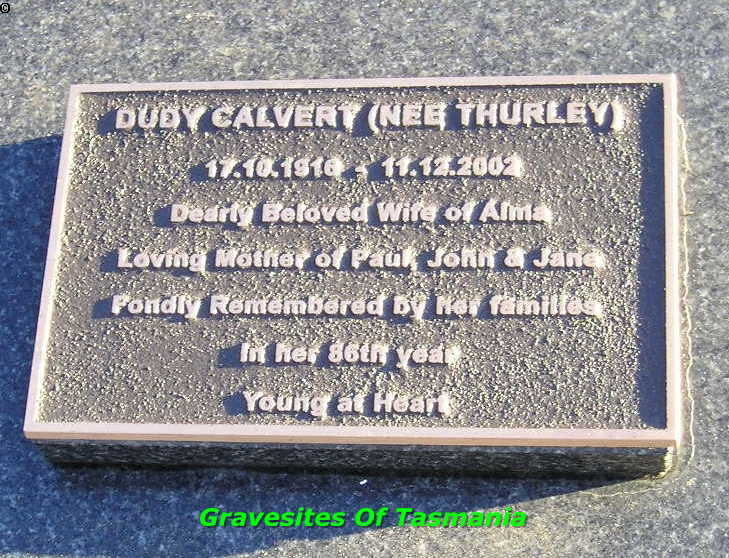 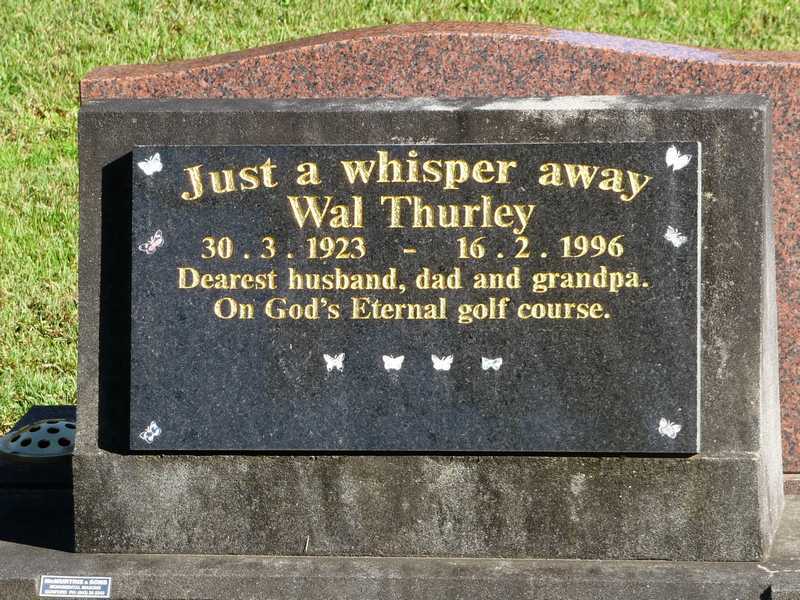 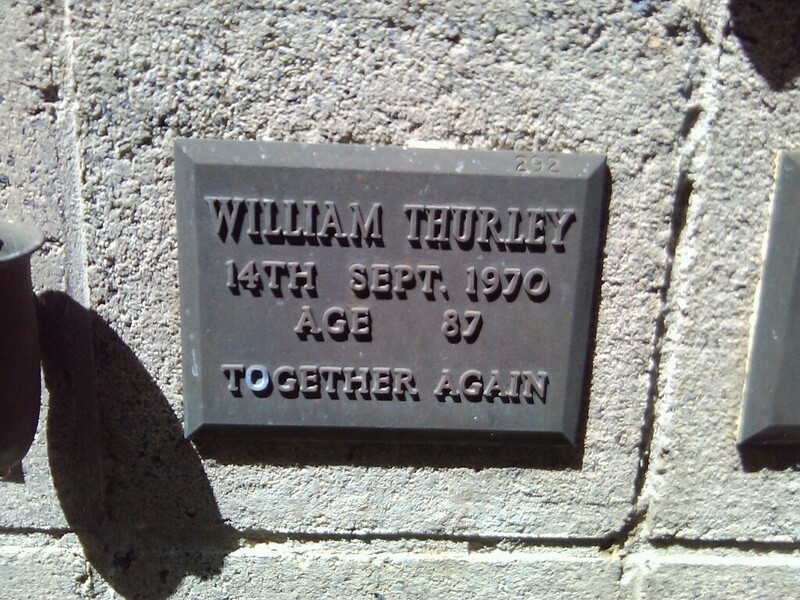 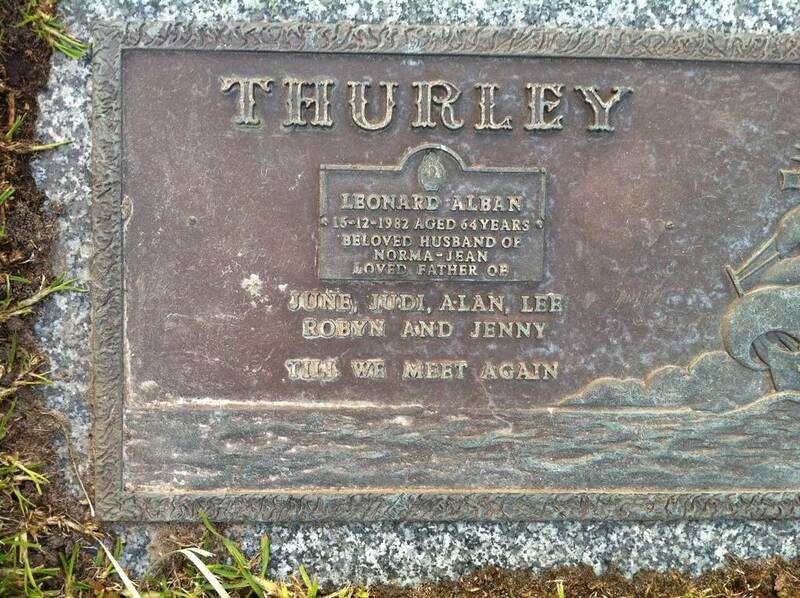 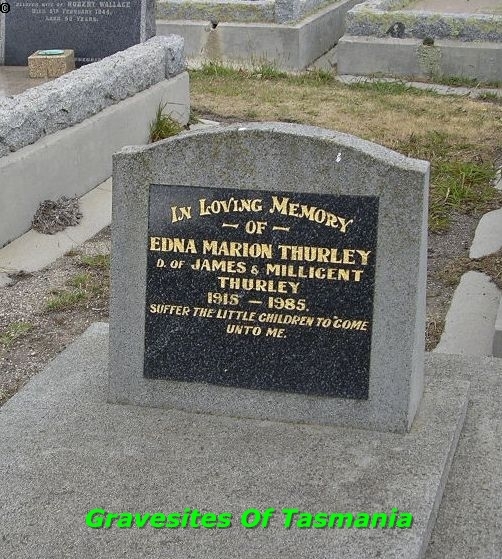 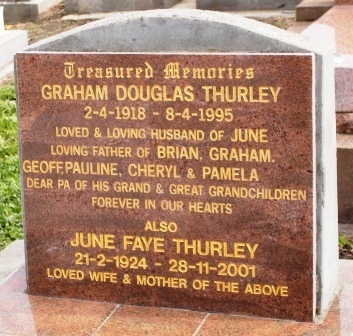 [GS] Gravestone of Graham Douglas Thurley and June Faye Thurley (nee Oats) in Tasmania. 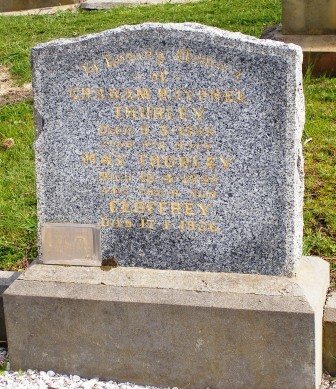 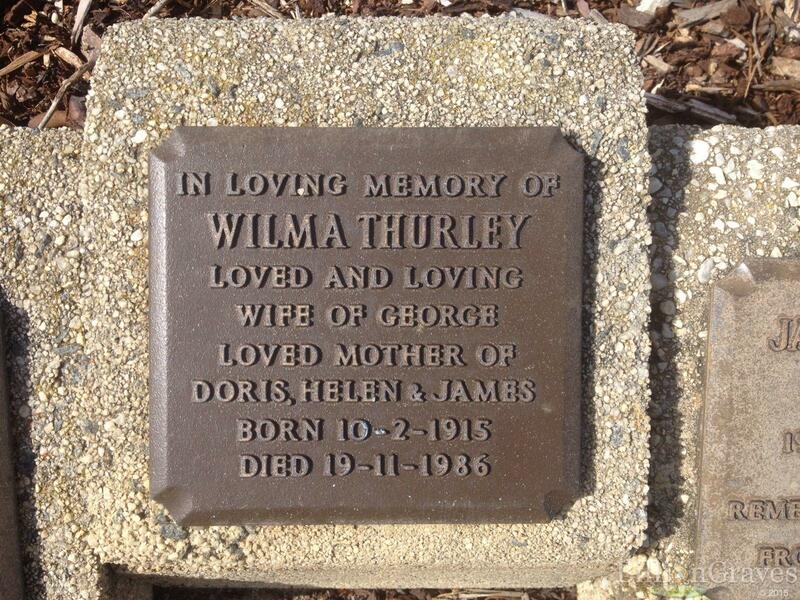 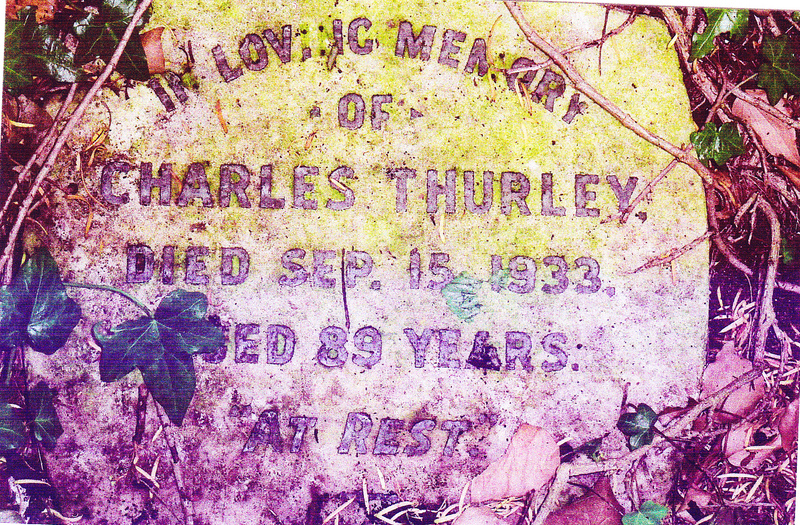 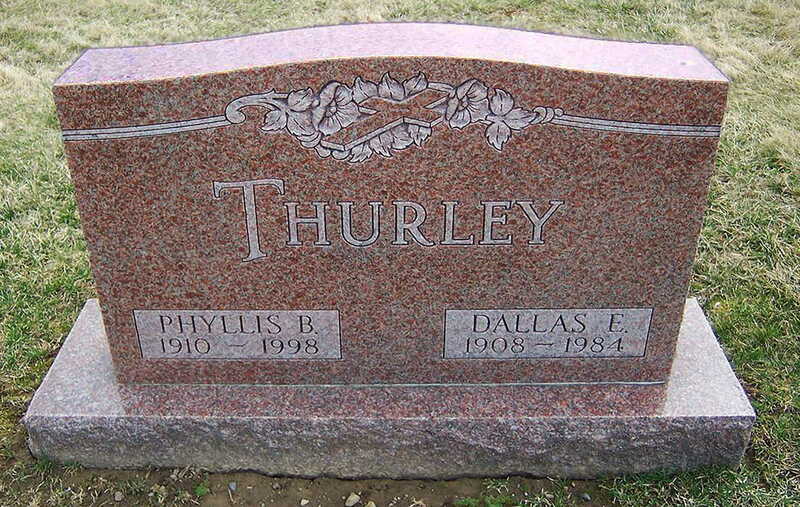 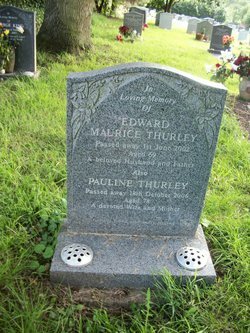 [GS] Gravestone of William Charles Thurley and Harriet Matilda Thurley. 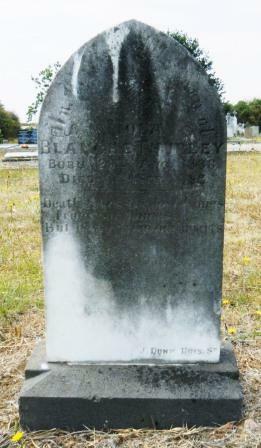 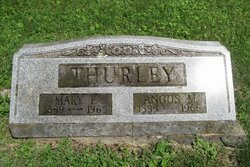 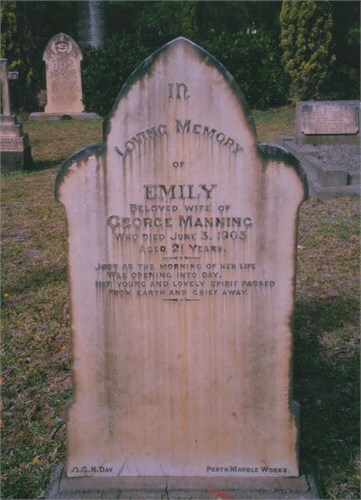 [GS] Gravestone of Angus and Mary Thurley.